Having waited and planned this trip for half a year, I finally was able to visit Japan! Ever since I was young my childhood and adolescent memories were heavily influenced by Japanese culture. Like many other people I am a massive fan of Pokemon – I played all games in the franchise and could probably name all the original Pokemon from the first generation off by heart, I have also spent a huge amount of time watching anime and reading mangas – most prominent of them all are Bleach, Naruto, Yu Yu Hakusho, Monster Rancher and Hunter x Hunter and later on in life I got involved in cos-playing. I love everything about Japan! It is just such a surreal feeling to actually step foot one day on a place you have always wanted to go to ever since you were a little kid. 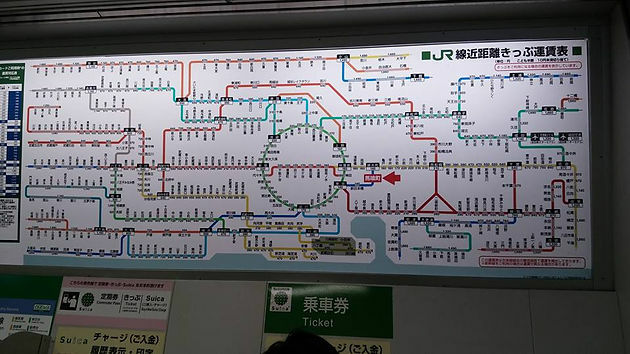 The first thing that a tourist should do when visiting another country is mastering the transportation system of that place. This can proved to be a real pain in the neck especially if you can’t even read the language so the barrier has already posed a serious problem. Luckily, I have friends that could speak it and company who were native Japanese. Coming out of the Narita airport we were greeted by the local Japanese TV show and got interviewed. It was just an amazing experience and being welcomed in such a way sort of overhauled what we went through the 12 hour flight. Activate JR pass and get the train to Kyoto. Drop bags off at hotel. Goto Kinkaku-ji and return to chekku-in. • Kinkakuji. Open daily from 9am to 5pm. Admission is ¥400 (£2-3). Take bus numbers 101 or 205 from Kyoto Station to the Kinkaku-ji Michi bus stop. If you are coming from another part of the city, you can also take the number 59 and 12 buses to the Kinkaku-ji Mae bus stop. 1 Kinkakujicho, Kita Ward, Kyoto, Kyoto Prefecture 603-8361, Japan. • Lunch > check in > rest of the day. • Manga museum – 1-min walk from Karasuma Oike Station Karasuma and Tozai subway lines. Admission is ¥500(£3). 10am to 6pm. Closed Wednesdays. • Lunch by the river. • Gion- geisha district, old buildings and tea houses. Train at 9:13 from Kyoto to Hiroshima. Arrive at 10:55. Drop our bags at the Inn and before check in we can go and see The Hiroshima Peace memorial. Check in is at 3pm so after that is when we can get our Ferry to Miyajima Isle. Take bus A from the bus stop in front of the tourist centre. 100 yen(0.50-60p) OR 10 minute walk . • Universal studios Japan. OSAKA. 1 day pass with access to park and all attractions at £37/38. Buy tickets via travel agency JTB? • Instant ramen museum – create own cup noodle! 300 yen (£1-2) no reservation. • Osaka castle? reviews not great 1-2 hrs. long walk to caste and lots of stairs but also lift. • Akihabara- maid/butler cafés, electronics at yondobashi, Tokyo anime centre, Madarake (Figures/toys), cospagee. • Asakusa – Wind and lightning gates and sensoji?